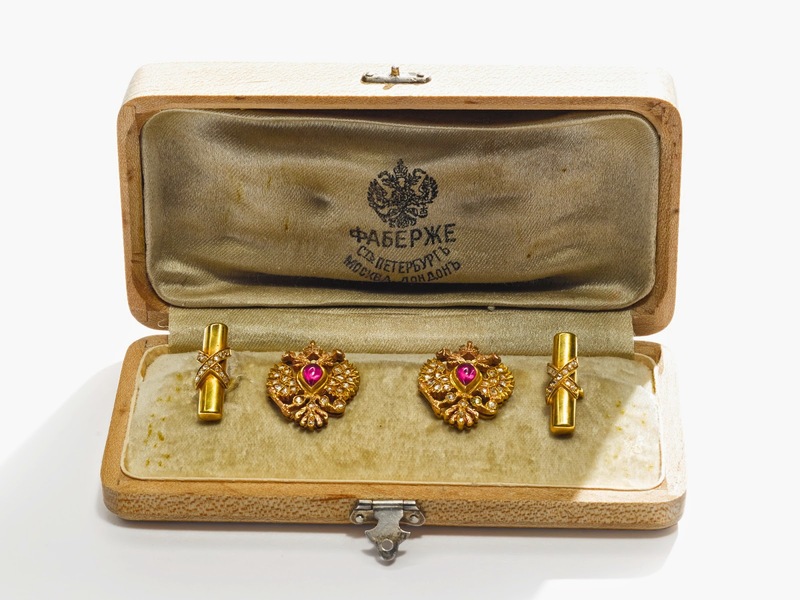 Today's Fabergé-object - a pair of cuff links! They were made by workmaster August Hollming, sometime between 1898 and 1904. The cuff links are made of varicolored gold and shaped as Imperial double-headed eagles, decorated with diamonds, and set with cabochon rubies in the center. The bars are decorated with diamond-set ties. The links come in a fitted wood box. I found them at Sotheby's.